JDE customers are replacing JDE CRM with SaaS solutions but retaining the JDE back office. 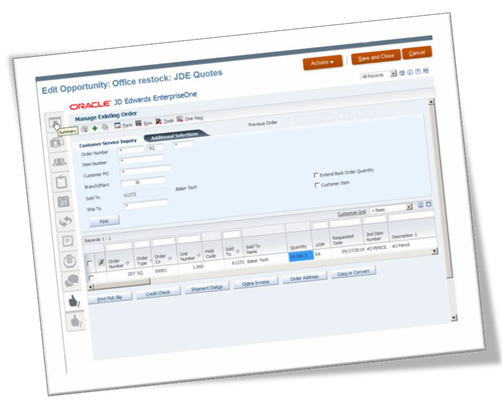 Using this integration, customers can perform front office opportunity management activities in Oracle Sales, while still leveraging JDE for quoting, pricing, and order management tasks. 9EDGE can help you with that.